There's a new option to #RunWithTheMarines on October 27 with the announcement that the Marine Corps Marathon Organization will be introducing an ultra as part of MCM Weekend. The inaugural MCM50K will take place on Sunday, October 27, the same day as the 44th MCM and the MCM10K. The MCM50K allows athletes to run an urban ultra with all of the same on-course amenities as "The People's Marathon." The 31.07-mile run from the National Mall will utilize portions of the MCM10K course, starting adjacent to the 6.2 mile event along the National Mall. Runners will ultimately merge with the MCM course at the event's iconic start line and follow the field of MCM participants. 50K lead runners should approach the Marathon pack within the first mile of the MCM course. The MCM50K concludes at the shared finish line at the U.S. Marine Corps War Memorial in Arlington, VA. Runners must maintain an 11:30 pace through mile 14 of the 50K on Rock Creek Parkway. After reaching that location and for the final 17 miles of the event, the mandatory 50K pace will throttle back to 14 minutes per mile as runners conquer the gauntlets and Beat the Bridge. Registration opens on Wednesday, February 27 at noon Eastern at www.marinemarathon.com. A limited number of just 500 entries will be available and are expected to be claimed quickly. Cost is $200 per entry. Inaugural participants receive a specially designed technical dye sublimated quarter-zip and commemorative bib. Ultra excited to run? MCM Runners Club members and those seeking to qualify for the MCM Runners Club, take note. A successful MCM50K finish will count towards membership status. Registration for the 44th MCM and the MCM10K will be held separately with the Marathon happening during March and the 10K opening on April 24. 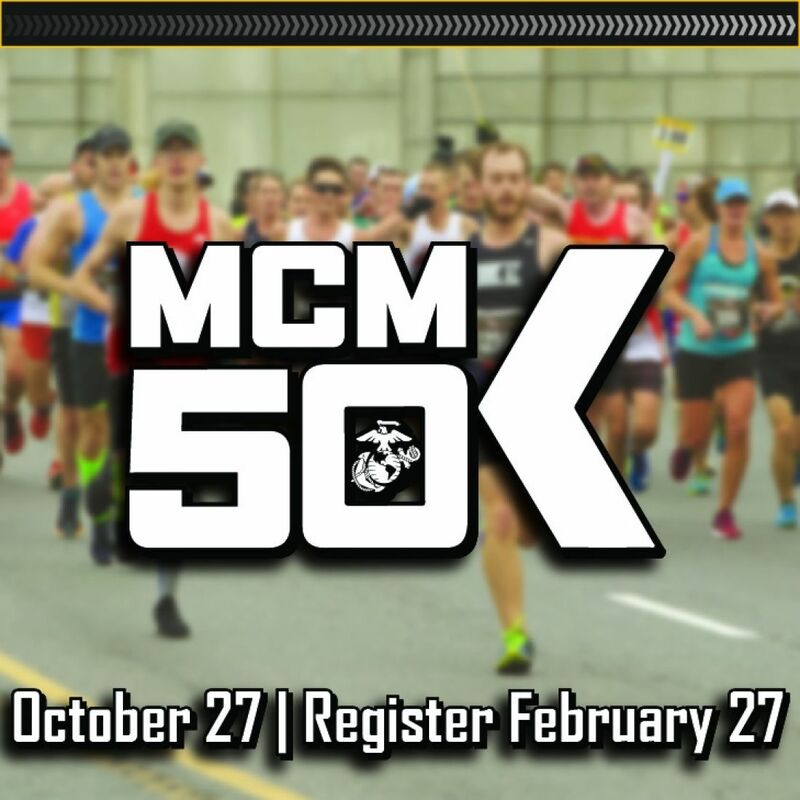 MCM, MCM10K or MCM50K -- regardless of the length of the journey, a Marine will be waiting to salute a remarkable achievement. Answer the call.